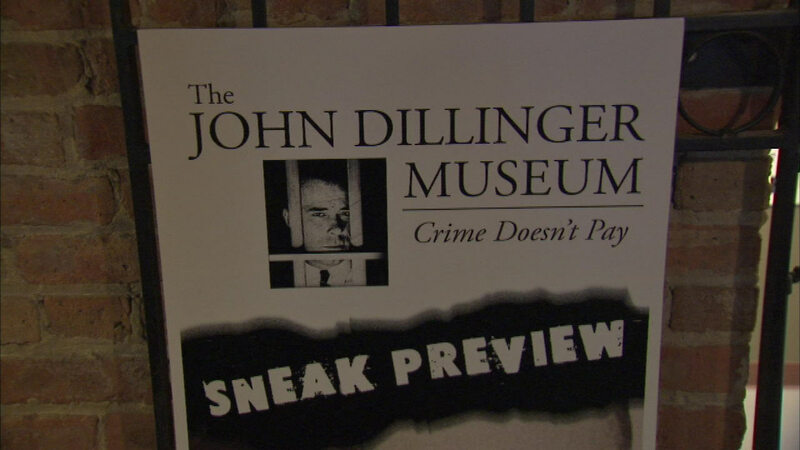 CROWN POINT, Ill. (WLS) -- The John Dillinger Museum will open this week in Crown Point, Ind. That's the town where the 1930s bank robber once broke out of jail. The grand opening is Wednesday - the 81st anniversary of his death. Dillinger was shot and killed by federal agents outside the Biograph Theater in Chicago in 1934. A wall will be unveiled Tuesday at the museum, honoring police officers from Lake County who have died in the line of duty.